Plast Aesthet Res 2018;5:37.10.20517/2347-9264.2018.52© The Author(s) 2018. 1Department of Plastic and Hand Surgery, University of Erlangen Medical Center, Erlangen 91054, Germany. 2Department of Plastic and Hand Surgery, Sana Hospital Hof, Academic Teaching Hospital of Friedrich Alexander University Erlangen - Nurnberg FAU, Erlangen 95032, Germany. Due to a steadily increasing life span not only in developed countries tissue wear-out or tissue loss becomes a growing problem to preserve sufficient quality of life. This holds especially true for elderly patients. The interdisciplinary field of Tissue Engineering (TE) and Regenerative Medicine (RM) is one area where the hope for cure of these problems is seen. Within this specialty of life sciences “Biofabrication” recently has been added as an evolving research field that aims to optimize spatial cell and growth factor delivery into laboratory grown constructs to mimic the natural consistency of tissue like structures. According to Groll et al., from a research strategy perspective, Biofabrication within TE and RM aims at exploiting automated processes, for the most part Additive Manufacturing techniques, to generate cell-biomaterial constructs that, through their internal and external spatial arrangement may mature into functional tissue equivalents. Accordingly, these strategies typically target the development of scaffolds or composite constructs which exhibit tissue mimetic hierarchical features. When living single cells, bioactive molecules, biomaterials, or cell-aggregates small enough to be printed are used for fabrication, the mentioned constructs can be achieved by bioprinting as deﬁned by Guillemot et al. earlier. While these new techniques offer reasonable advantages in TE and RM utilizing a subsequent maturation process after 3D cell printing it may help to yield structural biologically functional constructs, the clinical translation into relevant patient applications is still lacking. TE constructs still suffer from a lack of vascularity at the time of transplantation into the human recipient. Similar to our clinical routine with the prefabrication of individualized customized flaps [Figure 1] for transfer our group has repeatedly investigated the prevasculrization of TE scaffolds utilizing an arteriovenous loop to further a clinical translation of laboratory grown tissue substitutes. We have therefore studied the effects of prevascularization in TE constructs using an arterio-venous loop (AV-loop) to 3D vascularize given matrices of relevant size before they are transplanted into the recipient in small and large animal models[6-8] and have successfully transferred this technique into clinical application. Nevertheless, efforts have been undertaken to unravel the complex mechanism and receptor network that are involved in neoangiogenesis. To better understand why and how neovascularization effects occur we investigated experimental AV-loop models several times[10-12][Figure 2]. One insight from these experiments was that the interposition of a vein graft into the loop optimally leads to vascularization of the constructs, while this is not working equally well in the case of flaps with an arteriovenous bundle only[13,14]. To further enhance neovascularization it has also been demonstrated that a combination of intrinsic and extrinsic vascularization even yields faster neovascualrization. Polykandriotis et al. have shown that early arterialization and angiogenesis in the AV-loop in a fibrin matrix with an interpositional venous graft (IVG) segment, which was placed into a closed chamber and embedded into a fibrin gel in an animal model, revealed direct luminal neovascular sprouting, evident between day 10 and day 14 from the vein and the IVG but not from the arterial segment. Investigating the special role of the venous graft itself within the experimental setting of an AV-loop to vascularize TE constructs seems valuable. From clinical observations in prefabricating flaps or transplanting free flaps with arterial or venous extensions or utilizing AV-loops to connect the flaps it seems obvious that the interpositional vein graft itself may play a crucial role in neovascularization. We have reviewed numerous of our own studies utilizing an AV-loop in small and large animals to 3D vascularize scaffolds or to study principles of neoangiogenesis for tissue generation or in the context of cancer research[3,7,10,11,17-22]. The process of establishing an arteriovenous loop in a rat model is described in detail by Weigand et al.. To analyse the phenomenon of neovasculogenesis from such an AV-loop, as previously described in earlier studies[13,14,24-26] AV-loops were created in inbred male Lewis rats weighing approximately 250 g (Charles River, Sulzfeld, Germany) in various study designs. The loops were embedded into a custom-made cylindrical Teflon isolation chamber, which was fixed in the medial thigh of the rat by means of polypropylene 5-0 and in most of the studies 300 µL of the fibrin matrix were placed at the bottom of the chamber. The arteriovenous fistula was then laid onto this clot with the artery and vein exiting through an opening at the proximal pole and was then covered with the rest of the fibrin clot. We also performed numerous studies with bone matrices or scaffolds in the small and in the large animal model. Our primary series utilized the TISSUCOL-Kit 2,0 Immuno (Baxter GmbH, Unterschleißheim, Deutschland) according to the manufacturers recommendations. When using fibrin alone a fibrin clot of 600 µL with end concentrations of 33.7 mg/mL Fibrinogen and 25 IU/mL Thrombin was used as previously described[13,23,27] [Figure 3 and 4]. 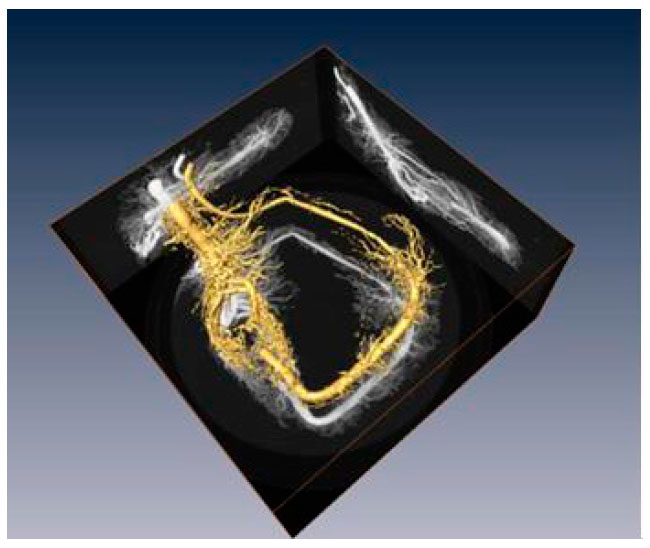 To investigate the neoangiogenesis and to study the cycle of sprouting and vasculogenesis in this context, 3D computed tomography was performed in order not to sacrifice the experimental animals. Corrosion casts were antoher method to visualize vasculogenesis. For this end at different time intervals from implantation to explantation, AV-loops were perfused with a low viscosity resin and were processed for scanning electron microscopy of the vessel wall. Controls were performed with immunohistochemistry and by means of computer tomography which allowed linear in vivo investigations. Visualization of angiogenesis phenomena over various time points was attained with the help of the corrosion cast technique [Figure 5]. For this purpose the animals aorta and inferior vena cava were exposed through a median incision from the xiphoid process to the pubic symphysis. The aorta was then cannulated through a 24-gauge catheter and the inf. vena cava was severed. After cannulation of the aorta the vascular system of the rat was rinsed with approximately 200 mL of heparinized Ringer solution (100 IU/mL) under a hydrostatic pressure between 80 and 100 mmHg and until fluid escaping from the severed inf. vena cava was clear. Perfusion of the caudal vascular system with 20 mL of a methylmethacrylate resin in a mixture of 4:1 prepolymerized oligomere to methylmethacrylate monomer (Aldrich Chemie, Germany) and benzoyl peroxide as a catalyst (Mercox, Ladd Research Industries, Burlington, VT) was then performed to gain vascular replicas, which could be investigated with a scanning electron microscopy (SEM). In addition to better detect the phenomena of luminal sprouting from the central vascular axis, microdissection under a microscope was undertaken as a modification of a method described previously. Micro computed tomography (CT) was performed with a FORBILD High Resolution Micro-CT (Erlangen, Germany) [Figure 6]. We have previously shown another possibility to visualize the vessels fully in 3D by calculating an isosurface for all voxels above a given threshold. In a first line of experiments we verified that vascularization of a confined porous matrix was feasible. For this purpose we combined the AV-loop model, with a porous bone matrix and encased the system in an isolation chamber. Explantation times were set to 2, 4 and 8 weeks. 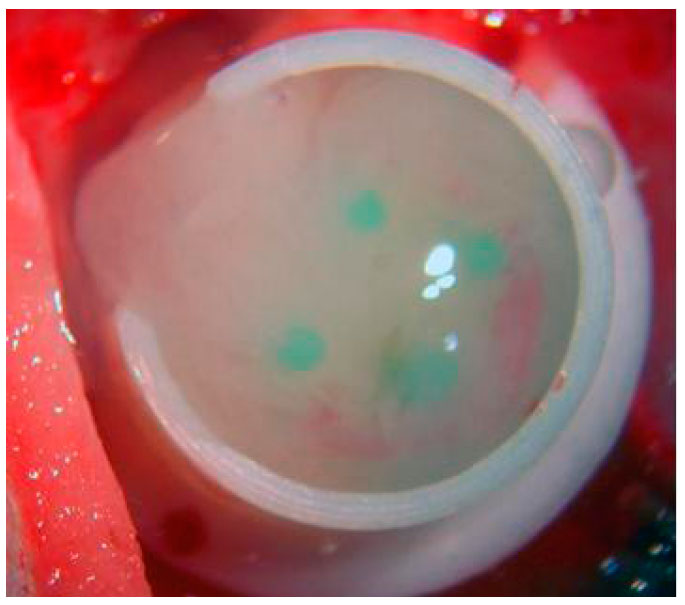 Within 8 weeks post implantation, the entire matrix was usually infiltrated with a fibrovascular tissue. Essentially, the matrix was vascularized. We evaluated the results by means of histomorphometry, immunohistochemistry, corrosion casting, micro-magnetic resonance angiography (MRA) as well as micro-computed tomography. We noticed an undisturbed perfusion of the extremities during the whole period with a general patency rate of 83.3% of the AV-loops as previously shown. Pushing on, we found out that the AV loop was able to vascularize a fibrin matrix. However, neovascularization seemed to emerge mainly from the venous part and the interpositional graft of the AV-loop and less from the arterial segment. In another line of experiments, after addition of vasoactive growth factors (VEGF and FGF) at the time of implantation we could observe that the angiogenic events were significantly accelerated in the group with the growth factors, in terms of onset of sprouting as well as progression into the phase of remodelling. With micro-CT it was possible to visualize the patency of the vascular axis which could be confirmed both as was macroscopically seen at the time of explantation. When we compared the findings to long term observations after 6 weeks, the results at two weeks demonstrated initial arteriovenous shunting through the graft. 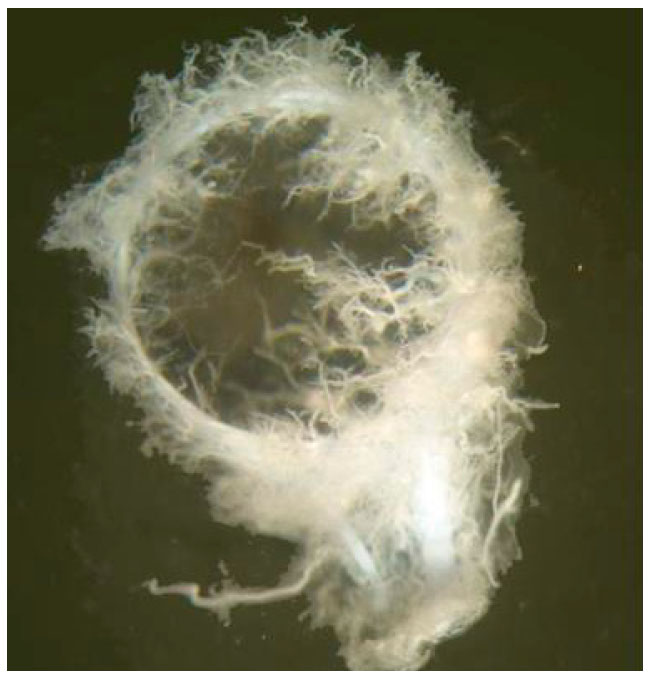 This indicates that the neoformation of the capillary network within the constructs in the chamber forms an organoid like structure with an artery and a draining vein. In the same time, the prevascularized matrices were secondarily loaded with a plethora of different types of stem cells, including osteoblasts and liver stem cells. It was a natural evolution that the AV loop was evaluated in the big animal model. Beier et al. performed the AV-loop operations on sheep with great success. Currently the AV-loop is utilized in selected cases in the clinical setting[9,11,16,31]. In general, phenomena of neovascularization and neoangiogenesis play a crucial role in Plastic Surgery and have led to the prefabrication and preformation of customized flaps that are created in situ in the patient[33,34]. Flap prefabrication is a clinically applied method to generate custom made transplants with the help of arterializing tissue either with arteriovenous bundles or arteriovenous loops. It has been described for various tissues, including skin, fasciae, muscle, periosteum and/or bone[36-39]. In the clinical scenario both arterial and venous supercharging have been postulated to potentially improve the survival area of prefabricated flaps and to extend the possibilities of creating custom made tissue flaps[40-42]. The combination of prefabrication and tissue engineering has been investigated intensely[39,43,44]. From this clinically proven method we introduced the technique of prevascularizing scaffolds and constructs in the context of Tissue Engineering with the help of an arteriovenous loop incorporated into a given matrix[3,23]. In small and large animal models we observed that the arteriovenous loop triggers a vivid and rapid angiogenetic response[7,11,17-19]. In our experiments male imbred Lewis rats were used. In personal communications with other groups we were intrigued to hear that on Wistar rats the phenomenon of limp ischaemia was common. Our data shed light on the early phase of angiogenesis between day 2 and day 4, as we could not find vessel sprouting. On the other side between the 10th day up to day 14 a vivid angiogenetic response was seen that led to a rapid induction of a dense neocapillary microvascular network. In our AV-loop model we had expected an early sprouting from capillaries and venules as has been described generally in the context of angiogenesis as soon as 27 h after the angiogenetic trigger. The influence of the fibrin matrix that we used might be causative for this observation. Tissue engineering (TE) has been a promising research field for more than two decades by now. Nevertheless despite recent advances the translation of TE into daily clinical practice has not yet been achieved. One major obstacle is the step of transplanting a generated tissue construct into a recipient site, where it is dependant from the ingrowth of small vessels into the scaffold. Since this process of revascularization takes several days any cell within a matrix rely on nourishing by diffusion only. Intrinsic prevascularization will allow cells within a matrix to survive the critical time frame until vascularization has taken place and nourishing substances can be delivered from the recipient into the bioartificial construct. 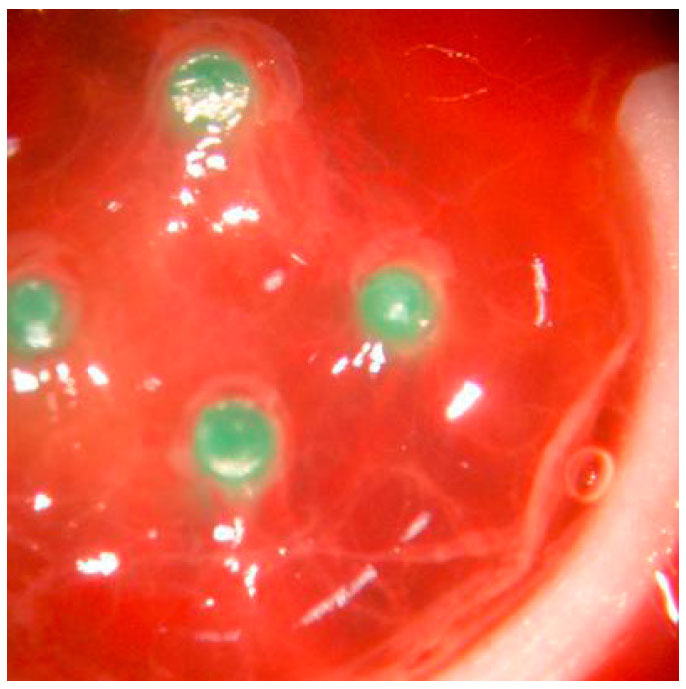 Other studies have used Matrigel as a matrix for the AV-loop and showed enhanced neovascularization. However, for potential clinical applications, matrigel, extracted from the Engelbreth-Holm-Swarm mouse sarcoma, is not a matrix of choice in patients. In contrast, fibrin as a matrix is a commercially available product that has been in clinical use for decades. It possesses several advantages as a potential matrix, some of which have to do with the interplay between controlled fibrinolysis and onward angiogenesis. We have shown that the kinetics of neoangiogenesis and neovascularization can be enhanced by addition of soluble growth factors which boost neovascular growth[48,49]. Fibrin is one possible carrier and has been repeatedly demonstrated to be a suitable carrier for cultured cells, such as in cultured human keratinocyte transplantation[50,51] and muscle TE. The formation of new blood vessels is a fundamental process in tissue regeneration and in organ development. Angiogenesis is most frequently associated with inflammation, along with hypoxic conditions and cell infiltration, although it remains elusive how molecular and cellular mechanisms underlying inflammatory reactions in detail regulate angiogenetic processes. Hypoxia-inducible factors (HIFs), HIF1 alpha and HIF2 have been investigated as potential indicators of neoangiogenesis in various contexts[52-55]. The influence of mesenchymal stem cells might also play a critical role in neovascularization[56,57]. It has been hypothesized that angiogenesis and vasculogenesis can be studied in the context of TE with regard to similar processes that occur in tumorigenesis and that TE models could help to further clarify these biological events. Phenomena of intimal hyperplasia and thickening of the vessel wall during neoangiogenesis have been well described[59-61]. It has also been noted that myointimal thickening leads to a continuous decrease in the luminal diameter, which is an explanation for the decrease in the luminal vessel diameters that we observed following day 7 in our experiments. It is not clear why the intepositional vein graft shows the highest increase in angiogenesis and if there is a critical length of such an AV axis that would limit the clinical applicability. From clinical data in using long bypass grafts for free flap transplantation we suggest that the length of an interpositional vein in such circumstances graft is limited. If bioartificial vessels, which would be desirable in terms of minimizing the donor site morbidity, will become clinically available and will offer the same capacity of sprouting and neoangiogenesis remains yet open. Although the AV-loop model is rather complex and time consuming, it offers the unique advantage of studying neoangiogenesis and vasculogenesis in a controlled environment, to observe the mechanisms of vessel arborisation and remodelling, and to investigate changes in the perfusion pattern in correlation to the specific segments of the AV-loop. We want to thank Xue-Hong and Hans Georg Geis, Dr. Hans Peter Mall, and Mrs. Boya Marshall for their ongoing support of our research. 1. Horch RE, Pepescu LM, Vacanti C, Maio G. Ethical issues in cellular and molecular medicine and tissue engineering. J Cell Mol Med 2008;12:1785-93. 2. Groll J, Boland T, Blunk T, Burdick JA, Cho DW, Dalton PD, Derby B, Forgacs G, Li Q, Mironov VA, Moroni L, Nakamura M, Shu W, Takeuchi S, Vozzi G, Woodfield TB, Xu T, Yoo JJ, Malda J. Biofabrication: reappraising the definition of an evolving field. Biofabrication 2016;8:013001. 3. Horch RE, Weigand A, Wajant H, Groll J, Boccaccini AR, Arkudas A. Biofabrication: new approaches for tissue regeneration. Handchir Mikrochir Plast Chir 2018;50:93-100. 4. Guillemot F, Mironov V, Nakamura M. Bioprinting is coming of age: report from the international conference on bioprinting and biofabrication in bordeaux (3B'09). Biofabrication 2010;2:010201. 5. Ning L, Guillemot A, Zhao J, Kipouros G, Chen X. Influence of flow behavior of alginate-cell suspensions on cell viability and proliferation. Tissue Eng Part C Methods 2016;22:652-62. 6. Kneser U, Polykandriotis E, Ohnolz J, Heidner K, Grabinger L, Euler S, Amann KU, Hess A, Brune K, Greil P, Stürzl M, Horch RE. Engineering of vascularized transplantable bone tissues: induction of axial vascularization in an osteoconductive matrix using an arteriovenous loop. Tissue Eng 2006;12:1721-31. 7. Yuan Q, Arkudas A, Horch RE, Hammon M, Bleiziffer O, Uder M, Seuss H. Vascularization of the arteriovenous loop in a rat isolation chamber model-quantification of hypoxia and evaluation of its effects. Tissue Eng Part A 2018;24:719-28. 8. Weigand A, Beier JP, Schmid R, Knorr T, Kilian D, Götzl R, Gerber T, Horch RE, Boos AM. Bone tissue engineering under xenogeneic-free conditions in a large animal model as a basis for early clinical applicability. Tissue Eng Part A 2017;23:208-22. 9. Horch RE, Beier JP, Kneser U, Arkudas A. Successful human long-term application of in situ bone tissue engineering. J Cell Mol Med 2014;18:1478-85. 10. Kneser U, Schaefer DJ, Polykandriotis E, Horch RE. 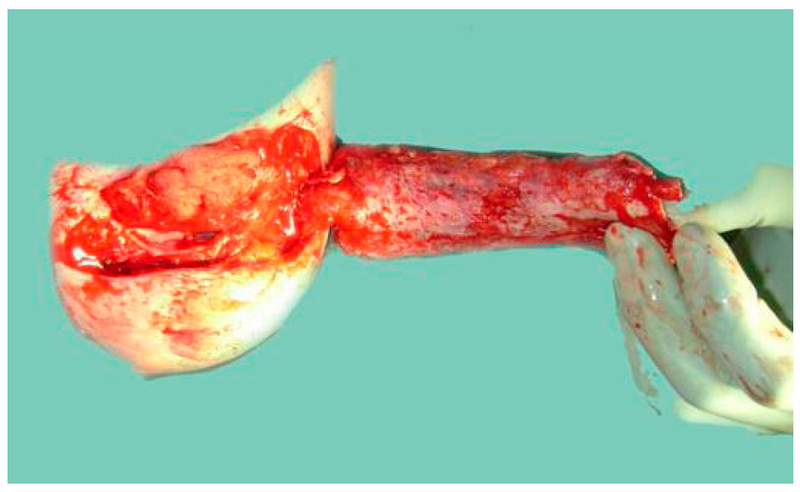 Tissue engineering of bone: the reconstructive surgeon's point of view. J Cell Mol Med 2006;10:7-19. 11. Arkudas A, Lipp A, Buehrer G, Arnold I, Dafinova D, Brandl A, Beier JP, Körner C, Lyer S, Alexiou C, Kneser U, Horch RE. Pedicled transplantation of axially vascularized bone constructs in a critical size femoral defect. Tissue Eng Part A 2018;24:479-92. 12. Arkudas A, Tjiawi J, Saumweber A, Beier JP, Polykandriotis E, Bleiziffer O, Horch RE, Kneser U. Evaluation of blood vessel ingrowth in fibrin gel subject to type and concentration of growth factors. J Cell Mol Med 2009;13:2864-74. 13. Polykandriotis E, Tjiawi J, Euler S, Arkudas A, Hess A, Brune K, Greil P, Lametschwandtner A, Horch RE, Kneser U. The venous graft as an effector of early angiogenesis in a fibrin matrix. Microvasc Res 2008;75:25-33. 14. Polykandriotis E, Euler S, Arkudas A, Pryymachuk G, Beier JP, Greil P, Dragu A, Lametschwandtner A, Kneser U, Horch RE. Regression and persistence: remodelling in a tissue engineered axial vascular assembly. J Cell Mol Med 2009;13:4166-75. 15. Arkudas A, Pryymachuk G, Beier JP, Weigel L, Körner C, Singer RF, Bleiziffer O, Polykandriotis E, Horch RE, Kneser U. Combination of extrinsic and intrinsic pathways significantly accelerates axial vascularization of bioartificial tissues. Plast Reconstr Surg 2012;129:55e-65e. 17. Steiner D, Lingens L, Fischer L, Köhn K, Detsch R, Boccaccini AR, Fey T, Greil P, Weis C, Beier JP, Horch RE, Arkudas A. Encapsulation of mesenchymal stem cells improves vascularization of alginate-based scaffolds. Tissue Eng Part A 2018;24:1320-31. 18. Schmidt VJ, Covi JM, Koepple C, Hilgert JG, Polykandriotis E, Bigdeli AK, Distel LV, Horch RE, Kneser U. Flow induced microvascular network formation of therapeutic relevant arteriovenous (AV) loop-based constructs in response to ionizing radiation. Med Sci Monit 2017;23:834-42. 19. Leibig N, Wietbrock JO, Bigdeli AK, Horch RE, Kremer T, Kneser U, Schmidt VJ. Flow-induced axial vascularization: the arteriovenous loop in angiogenesis and tissue engineering. Plast Reconstr Surg 2016;138:825-35. 20. Horch RE, Boos AM, Quan Y, Bleiziffer O, Detsch R, Boccaccini AR, Alexiou C, Sun J, Beier JP, Arkudas A. Cancer research by means of tissue engineering--is there a rationale? J Cell Mol Med 2013;17:1197-206. 21. Horch RE, Weigand A, Beier JP, Arkudas A, Boos AM. The potential role of telocytes for tissue engineering and regenerative medicine. Adv Exp Med Biol 2016;913:139-47. 22. Klumpp D, Rudisile M, Kühnle RI, Hess A, Bitto FF, Arkudas A, Bleiziffer O, Boos AM, Kneser U, Horch RE, Beier JP. Three-dimensional vascularization of electrospun PCL/collagen-blend nanofibrous scaffolds in vivo. J Biomed Mater Res A 2012;100:2302-11. 23. Weigand A, Beier JP, Arkudas A, Al-Abboodi M, Polykandriotis E, Horch RE, Boos AM. The Arteriovenous (AV) Loop in a small animal model to study angiogenesis and vascularized tissue engineering. J Vis Exp 2016; doi: 10.3791/54676. 24. Polykandriotis E, Arkudas A, Beier JP, Dragu A, Rath S, Pryymachuk G, Schmidt VJ, Lametschwandtner A, Horch RE, Kneser U. The impact of VEGF and bFGF on vascular stereomorphology in the context of angiogenic neo-arborisation after vascular induction. J Electron Microsc (Tokyo) 2011;60:267-74. 25. Polykandriotis E, Arkudas A, Beier JP, Hess A, Greil P, Papadopoulos T, Kopp J, Bach AD, Horch RE, Kneser U. Intrinsic axial vascularization of an osteoconductive bone matrix by means of an arteriovenous vascular bundle. Plast Reconstr Surg 2007;120:855-68. 26. Polykandriotis E, Horch RE, Arkudas A, Labanaris A, Brune K, Greil P, Bach AD, Kopp J, Hess A, Kneser U. Intrinsic versus extrinsic vascularization in tissue engineering. Adv Exp Med Biol 2006;585:311-26. 27. Boos AM, Loew JS, Weigand A, Deschler G, Klumpp D, Arkudas A, Bleiziffer O, Gulle H, Kneser U, Horch RE, Beier JP. Engineering axially vascularized bone in the sheep arteriovenous-loop model. J Tissue Eng Regen Med 2013;7:654-64. 28. Lametschwandtner A, Lametschwandtner U, Weiger T. Scanning electron microscopy of vascular corrosion casts--technique and applications. Scan Electron Microsc 1984:663-95 . 29. Polykandriotis E, Arkudas A, Euler S, Beier JP, Horch RE, Kneser U. Prevascularisation strategies in tissue engineering. Handchir Mikrochir Plast Chir 2006;38:217-23. 30. Beier JP, Hess A, Loew J, Heinrich J, Boos AM, Arkudas A, Polykandriotis E, Bleiziffer O, Horch RE, Kneser U. De novo generation of an axially vascularized processed bovine cancellous-bone substitute in the sheep arteriovenous-loop model. Eur Surg Res 2011;46:148-55. 31. Beier JP, Arkudas A, Lang W, Weyand M, Horch RE. Sternal osteomyelitis - surgical treatment concepts. Chirurg 2016;87:537-50. 32. Guo L, Pribaz JJ. Clinical flap prefabrication. Plast Reconstr Surg 2009;124:e340-50. 33. Schipper J, Ridder GJ, Maier W, Teszler CB, Horch RE. Laryngotracheal reconstruction using prefabricated and preconditioned composite radial forearm free flaps. A report of two cases. Auris Nasus Larynx 2007;34:253-8. 34. Schipper J, Ridder GJ, Maier W, Horch RE. The preconditioning and prelamination of pedicled and free microvascular anastomised flaps with the technique of vacuum assisted closure. Laryngorhinootologie 2003;82:421-7. 35. Taeger CD, Horch RE, Arkudas A, Schmitz M, Stübinger A, Lang W, Meyer A, Seitz T, Weyand M, Beier JP. Combined free flaps with arteriovenous loops for reconstruction of extensive thoracic defects after sternal osteomyelitis. Microsurgery 2016;36:121-7. 36. Tas S. Microdissected prefabricated flap: an evolution in flap prefabrication. Arch Plast Surg 2016;43:599-603. 37. Wang W, Zhao M, Tang Y, Chen W, Yang Z, Ma N, Xu L, Feng J, Li Y. Long-term follow-up of flap prefabrication in facial reconstruction. Ann Plast Surg 2017;79:17-23. 38. Wiltfang J, Rohnen M, Egberts JH, Lützen U, Wieker H, Açil Y, Naujokat H. Man as a living bioreactor: prefabrication of a custom vascularized bone graft in the gastrocolic omentum. Tissue Eng Part C Methods 2016;22:740-6. 39. Xu H, Feng S, Xia Y, Steinberger Z, Xi W, Fang H, Li Z, Xie Y, Zhang Y. Prefabricated flaps: identification of microcirculation structure and supercharging technique improving survival area. J Reconstr Microsurg 2017;33:112-7. 40. Ersoy B, Bayramiçli M, Ercan F, Şirinoğlu H, Turan P, Numanoğlu A. Comparison of bone prefabrication with vascularized periosteal flaps, hydroxyapatite, and bioactive glass in rats. J Reconstr Microsurg 2015;31:291-9. 41. Steinau HU, Podleska L, Tilkorn D, Farzalyiev F, Vogt P, Hauser J. Prefabrication of transplants in plastic surgery. Chirurg 2015;86:263-7. 42. Vranckx JJ, Den Hondt M, Delaere P. Prefabrication and prelamination strategies for the reconstruction of complex defects of trachea and larynx. J Reconstr Microsurg 2014;30:145-52. 43. Rodríguez-Lorenzo A, Arufe MC, de la Fuente A, Fernandez F, Blanco F. Influence of flap prefabrication on seeding of subcutaneously injected mesenchymal stem cells in microvascular beds in rats. Ann Plast Surg 2014;73:234-8. 44. Nguyen TH, Klöppel M, Staudenmaier R, Biemer E. Experimental investigation of neovascularisation in large prefabricated flaps after arteriovenous pedicle implantation. Handchir Mikrochir Plast Chir 2004;36:212-7. 45. Burger PC, Chandler DB, Klintworth GK. Corneal neovascularization as studied by scanning electron microscopy of vascular casts. Lab Invest 1983;48:169-80. 46. Cassell OC, Morrison WA, Messina A, Penington AJ, Thompson EW, Stevens GW, Perera JM, Kleinman HK, Hurley JV, Romeo R, Knight KR. The influence of extracellular matrix on the generation of vascularized, engineered, transplantable tissue. Ann N Y Acad Sci 2001;944:429-42. 47. Bouïs D, Kusumanto Y, Meijer C, Mulder NH, Hospers GA. A review on pro- and anti-angiogenic factors as targets of clinical intervention. Pharmacol Res 2006;53:89-103. 48. Sahni A, Francis CW. Vascular endothelial growth factor binds to fibrinogen and fibrin and stimulates endothelial cell proliferation. Blood 2000;96:3772-8. 49. Smith JD, Melhem ME, Magge KT, Waggoner AS, Campbell PG. Improved growth factor directed vascularization into fibrin constructs through inclusion of additional extracellular molecules. Microvasc Res 2007;73:84-94. 50. Beier JP, Boos AM, Kamolz L, Vogt PM, Koller R, Horch RE. Skin tissue engineering--from split skin to engineered skin grafts? Handchir Mikrochir Plast Chir 2010;42:342-53. 51. Horch RE, Bannasch H, Kopp J, Andree C, Stark GB. Single-cell suspensions of cultured human keratinocytes in fibrin-glue reconstitute the epidermis. Cell Transplant 1998;7:309-17. 52. Liang X, Yang D, Hu J, Hao X, Gao J, Mao Z. Hypoxia inducible factor-alpha expression correlates with vascular endothelial growth factor-C expression and lymphangiogenesis/angiogenesis in oral squamous cell carcinoma. Anticancer Res 2008;28:1659-66. 53. Zeng M, Shen J, Liu Y, Lu LY, Ding K, Fortmann SD, Khan M, Wang J, Hackett SF, Semenza GL, Campochiaro PA. The HIF-1 antagonist acriflavine: visualization in retina and suppression of ocular neovascularization. J Mol Med (Berl) 2017;95:417-29. 54. Peet DJ, Kittipassorn T, Wood JP, Chidlow G, Casson RJ. HIF signalling: the eyes have it. Exp Cell Res 2017;356:136-40. 55. André H, Tunik S, Aronsson M, Kvanta A. Hypoxia-inducible factor-1α is associated with sprouting angiogenesis in the murine laser-induced choroidal neovascularization model. Invest Ophthalmol Vis Sci 2015;56:6591-604. 56. Robering JW, Weigand A, Pfuhlmann R, Horch RE, Beier JP, Boos AM. Mesenchymal stem cells promote lymphangiogenic properties of lymphatic endothelial cells. J Cell Mol Med 2018; doi: 10.1111/jcmm.13590. 57. An R, Schmid R, Klausing A, Robering JW, Weber M, Bäuerle T, Detsch R, Boccaccini AR, Horch RE, Boos AM, Weigand A. Proangiogenic effects of tumor cells on endothelial progenitor cells vary with tumor type in an in vitro and in vivo rat model. FASEB J 2018; doi: 10.1096/fj.201800135RR. 58. Hutmacher DW, Horch RE, Loessner D, Rizzi S, Sieh S, Reichert JC, Clements JA, Beier JP, Arkudas A, Bleiziffer O, Kneser U. Translating tissue engineering technology platforms into cancer research. J Cell Mol Med 2009;13:1417-27. 59. Qin F, Dardik H, Pangilinan A, Robinson J, Chuy J, Wengerter K. Remodeling and suppression of intimal hyperplasia of vascular grafts with a distal arteriovenous fistula in a rat model. J Vasc Surg 2001;34:701-6. 60. Westerband A, Crouse D, Richter LC, Aguirre ML, Wixon CC, James DC, Mills JL, Hunter GC, Heimark RL. Vein adaptation to arterialization in an experimental model. J Vasc Surg 2001;33:561-9. 61. Butany J, Mahendran R, Nair V, Lindsay T. Postimplantation changes in a composite pericardium-vein graft. Cardiovasc Pathol 2004;13:237-9.